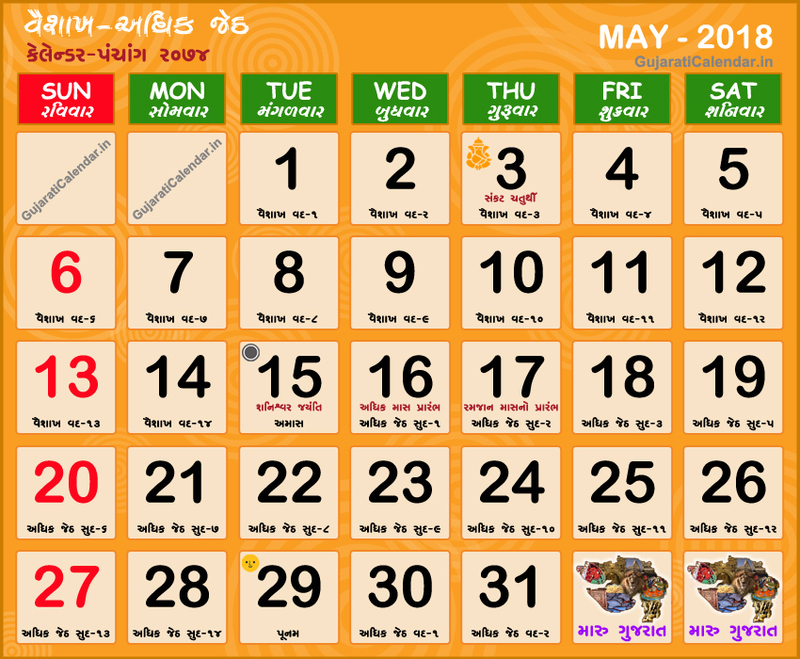 Gujarati calendar 2018 May showing festivals, holidays and tithi. May corresponds to the Gujarati months of Vaishakh Adhik Jeth. Gujarati month Vaishakh and Adhik Jeth are the months of Grishma or Summer. In Gujarati calendar there is a practice of adding an extra month which is known as Adhik Maas or Parashottam mahino at interval of 30 months or say two and half years. In may 2018 there is a adhik mass or parshotam mahino in vikram samvat 2074.